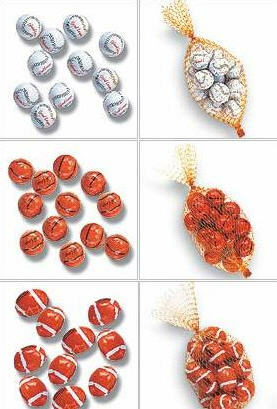 Tasty milk chocolate foil-wrapped baseballs, soccer balls, basketballs or footballs in 2 oz. mesh bags. Approx 12 pieces per bag. Price per bag below.